Greywateraction‘s Installers Course (2017 edition) recently came to a close. As part of the collaborative of educators, I decided to share some photos and insights from this past installation day. 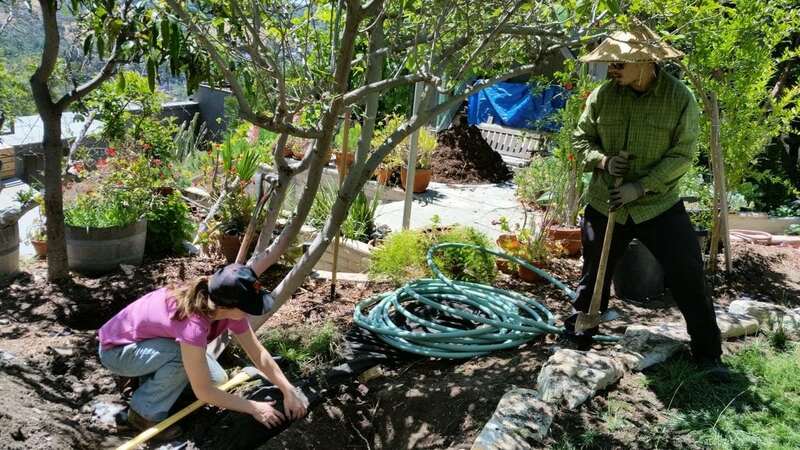 Digging up a mulch basin to prevent the Greywater from running off. Impressed home owner looks on as we lay the main line for the Laundry to Landscape. 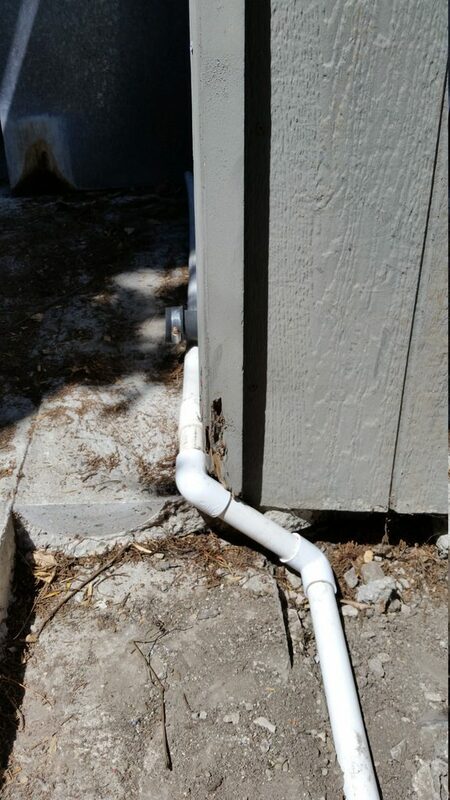 Wrapping around some steps with PVC. 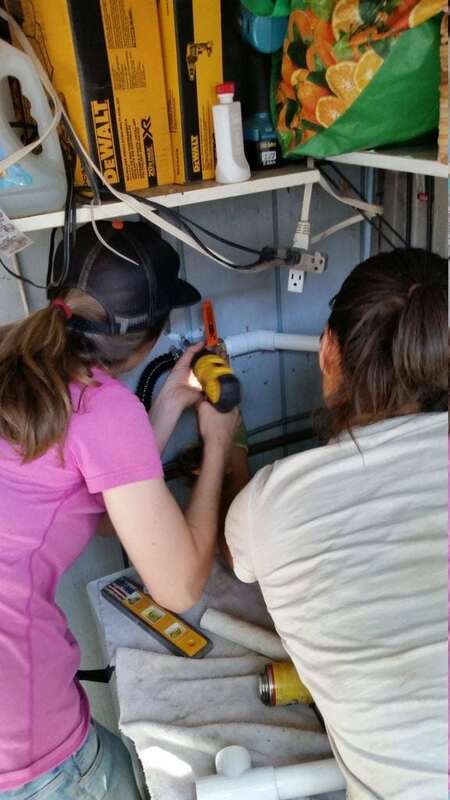 Students mounting 3 way diverter valve next to washing machine. A “runout”: prevents clogging of the pipes and/or eventual washer pump burnout. We, at GreywaterAction, believe in building systems for a sustainable water culture. Heck, that’s our slogan! With that in mind, we talk (and teach) about systems that do the most benefit to our landscapes. 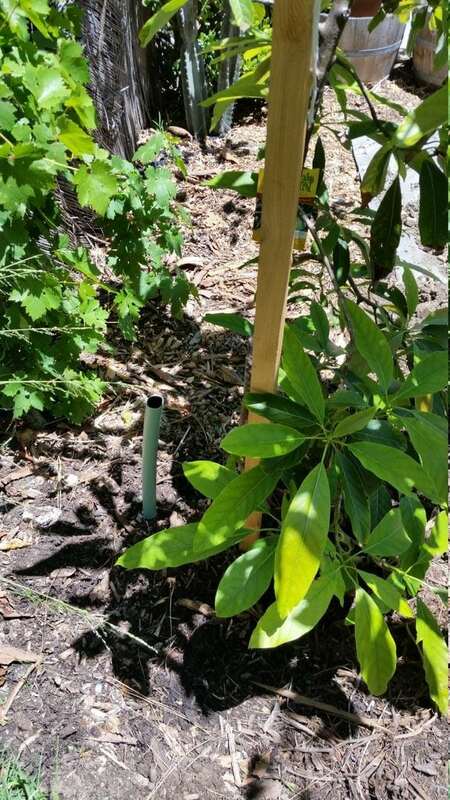 Greywater is a great, nutrient rich resource that plants love! Why not send it to their root systems so they can enjoy a “free” drink? 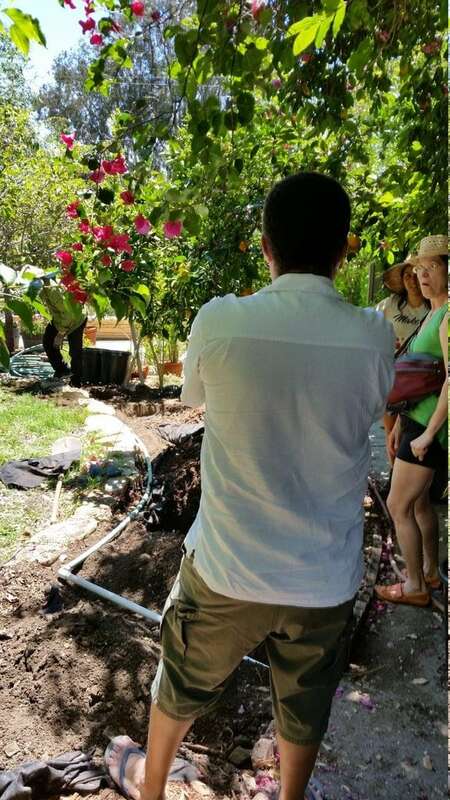 Sometimes you might hear people mentioning they have a greywater system in their homes, however technically true that may be, if they are just diverting the greywater to a pit or french drain… It could do with an overhaul to send the water to a more beneficial location. If you are interested in learning more on the subject, don’t hesitate to drop me a line, head on over to the GreywaterAction forum page, or have a look at our calendar to see if we’ll be hosting an event near you. Hope to see you at one of these soon!